The idea for the Chandra X-Ray Observatory was born only one year after Riccardo Giacconi discovered the first celestial X-ray source other than the Sun. In 1962, he used a sounding rocket to place the experiment above the atmosphere for a few minutes. The sounding rocket was necessary because the atmosphere blocks X-rays. If you want to look at X-ray emissions from objects like stars, galaxies, and clusters of galaxies, your instrument must get above the atmosphere. Giacconi’s idea was to launch a large diameter (about 1 meter) telescope to bring X-rays to a focus. He wanted to investigate the hazy glow of X-rays that could be seen from all directions throughout the sounding rocket flight. He wanted to find out whether this glow was, in fact, made up of many point-like objects. That is, was the glow actually from millions of X-ray sources in the Universe. Except for the brightest sources from nearby neighbors, the rocket instrument could not distinguish objects within the glow. Giacconi’s vision and the promise and importance of X-ray astronomy was borne out by many sounding rocket flights and, later satellite experiments, all of which provided years-, as opposed to minutes-, worth of data. By 1980, we knew that X-ray sources exist within all classes of astronomical objects. In many cases, this discovery was completely unexpected. For example, that first source turned out to be a very small star in a binary system with a more normal star. The vast amount of energy needed to produce the X-rays was provided by gravity, which, because of the small star’s mass (about equal to the Sun’s) and compactness (about 10 km in diameter) would accelerate particles transferred from the normal star to X-ray emitting energies. In 1962, who knew such compact stars (in this case a neutron star) even existed, much less this energy transfer mechanism? X-ray astronomy grew in importance to the fields of astronomy and astrophysics. The National Academy of Sciences, as part of its “Decadal Survey” released in 1981, recommended as its number one priority for large missions an X-ray observatory along the lines that Giacconi outlined in 1963. This observatory was eventually realized as the Chandra X-Ray Observatory, which launched in 1999. The Chandra Project is built around a high-resolution X-ray telescope capable of sharply focusing X-rays onto two different X-ray-sensitive cameras. The focusing ability is of the caliber such that one could resolve an X-ray emitting dime at a distance of about 5 kilometers! The building of this major scientific observatory has many stories. 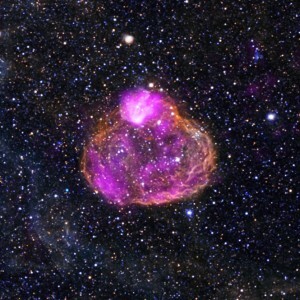 Caption: Composite image of DEM L50, a so-called superbubble found in the Large Magellanic Cloud. 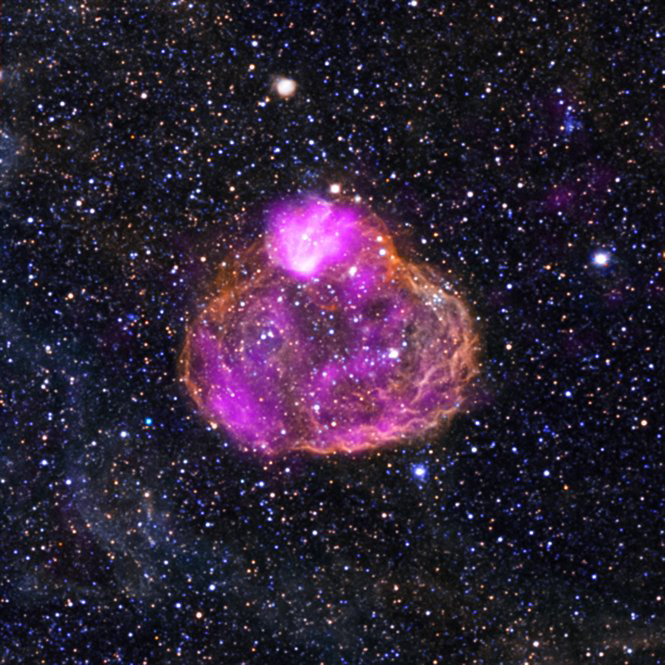 X-ray data from Chandra is pink, while optical data is red, green, and blue. Superbubbles are created by winds from massive stars and the shock waves produced when the stars explode as supernovas. Learn more about Chandra at www.science.nasa.gov/missions/chandra. 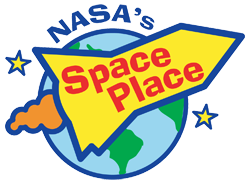 Take kids on a “Trip to the Land of the Magic Windows” and see the universe in X-rays and other invisible wavelengths of light at spaceplace.nasa.gov/magic-windows. Dr. Weisskopf is project scientist for NASA’s Chandra X-ray Observatory. This article was provided by the Jet Propulsion Laboratory, California Institute of Technology, under a contract with the National Aeronautics and Space Administration.